Rescuers search for a Kansas man who disappeared Friday into Steamboat Lake. 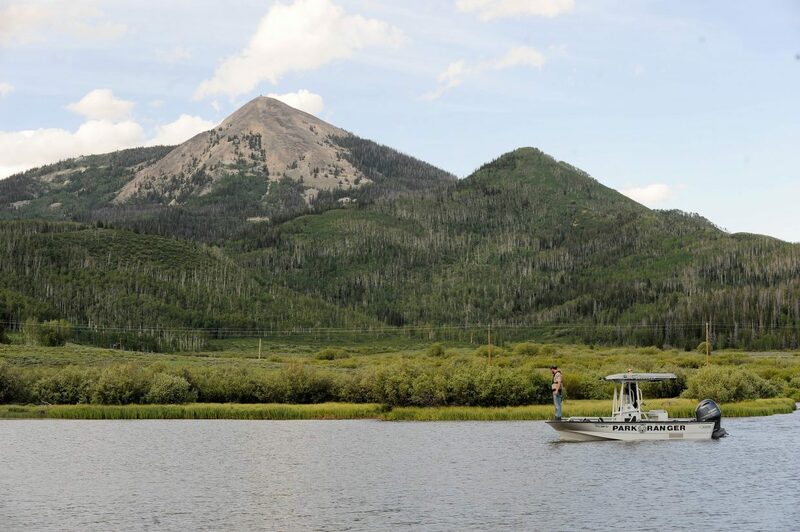 STEAMBOAT SPRINGS — The body of a man who disappeared in Steamboat Lake on Friday afternoon has been recovered. He was found shortly after midnight early Saturday morning. Routt County Coroner Rob Ryg identified the man as 64-year-old David Bass of Hutchinson, Kansas. Ryg has spoken with the man’s wife and son, who were in Kansas when the incident occurred. Bass was camping and fishing with friends at Steamboat Lake State Park. Rescuers were called to the park about 4:15 p.m. Friday. Bass and another man were on shore at the Sunrise Vista Campground trying to fix a problem with their boat’s trolling motor. The boat drifted away from shore, and Bass swam after it. Bass went under the water and never surfaced. The man who was with Bass went after Bass but was unable to find him. An autopsy is scheduled for Monday to determine a cause of death.